POWERPOINT PRESENTATIONS. To secure the fonts and clipart I use in my products, the slides themselves are NOT EDITABLE. 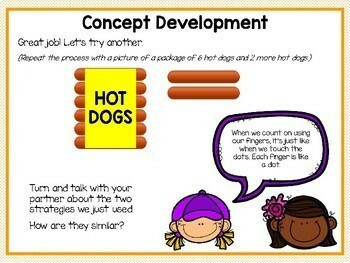 HOWEVER you can add, delete or rearrange slides to customize the presentation for your classroom. I have a separate presentation that contains blank background slides for you to use if you choose to add to the presentations (available here in my store for free). If you want to add content and would like to ensure the look is consistent, you will need to download some fonts from Kimberly Geswein’s TpT store (I purchased a commercial use license to use the fonts in my presentations and cannot pass them along to my customers if they are not in a secure file. However, they are free for your personal use in your classroom). 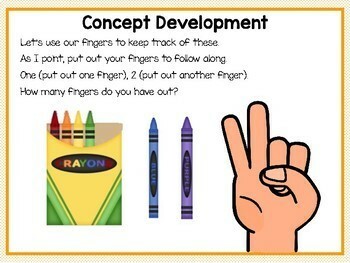 I use KG Miss Kindergarten for the majority of the lessons and KG Red Hands for the headings. 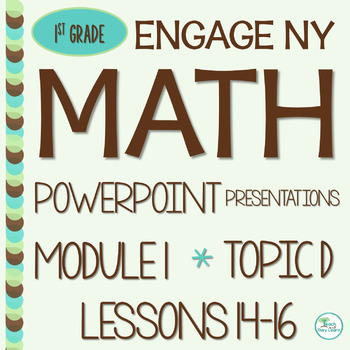 These Engage NY (Eureka Math) Presentations are easy to follow during lesson presentation. There is no need to turn back to the manual. All the key elements are ready, in lesson order, for you to read and follow along. Each Presentation will help you teach all the components of one entire lesson, from Fluency Practice, to the Application Problem, through the Concept Development, Problem Set, and Student Debrief at the end. These lessons are very detailed, and the presentation does not entirely take the place of reviewing the lesson and becoming familiar with its content. Each lesson typically contains the following: 1-3 pages for Fluency Practice, 1 page for the Application Problem, 2-5 pages Concept Development, 2-3 pages Problem Set and 1 page for Student Debriefing at the end of the lesson. I did not write the Engage NY content; it is available online for free at Engage NY.org. Anyone can use it! I am selling my time (and oh so much of it!) and creativity in designing supplemental presentations. From what I understand, Engage NY and Eureka Math are very similar, if not identical. 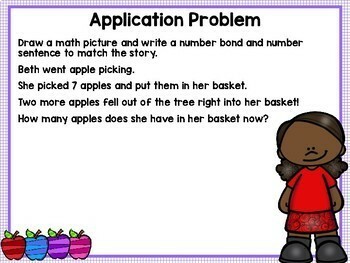 I’ve had many teachers tell me they use my Presentations to teach Eureka Math content. I personally have only worked with Engage NY. Engage NY (Eureka Math) is a free curriculum that I began using at my school about 4 years ago and while the lessons were AWESOME, the manuals were very dry, extremely detailed and hard to follow. On top of that, there is a brand-new lesson every day. Add that into the daily lessons for reading and writing plus all the other content areas, I knew there was no way I’d remember the lesson flow. Therefore, I decided to create presentations to help me remember the organization of the lessons. These lessons mirror the module and allow you to interact with your students while staying on track. They have the answers to the application problems as well as the problem set questions, so you can have students recognize their mistakes and you can provide immediate feedback. HUGE SAVINGS WHEN YOU BUY FOR THE ENTIRE YEAR!